Our game “Bakers without Borders” is amongst the ten global grassroots projects that received the Intercultural Innovation Award (IIA). 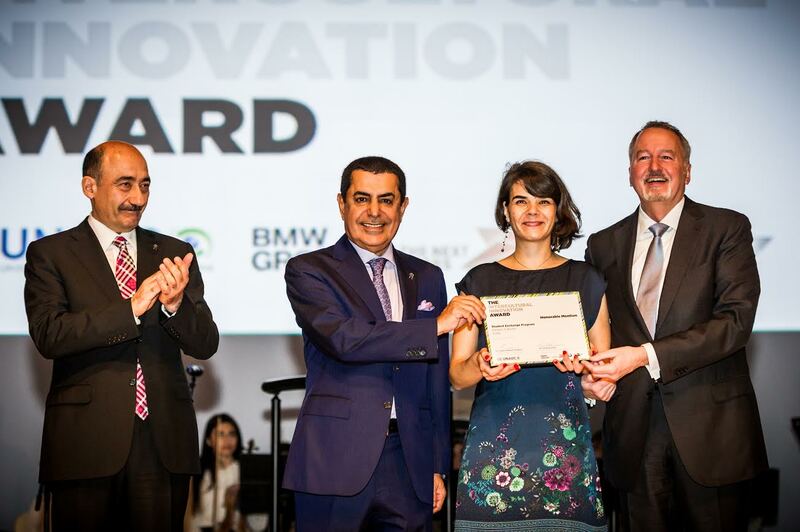 The award, a partnership between the United Nations Alliance of Civilizations (UNAOC) and the BMW Group, supports grassroots initiatives that promote intercultural dialogue and understanding. This year’s edition of the IIA was presented at a dedicated ceremony on 26 April during the 7th Global Forum of the UNАOC. “Bakers without Borders” was selected amongst close to 1000 applications from more than 120 countries. In addition to monetary support, our project will receive mentoring from UNAOC and BMW Group to support its evolution. We will have the opportunity to participate in training activities and workshops, as well as to become part of the exclusive “Intercultural Leaders” network. “Bakers without Borders” is an interactive, non-competitive board game which presents real cultural anthropology in an accessible way for people of all ages and backgrounds. Players unite in community bread-making events, mixed with artistic activities. They go through creative brainstorming sessions on social problems and social entrepreneurship, experiencing the transformative exchange of personal stories or dreams linked to cultures around the world.